In late August, two tiny kittens fighting for their lives were found stuck in a drainage pipe in Dorchester, Massachusetts. The kittens were rescued and rushed to safety - but rescuers soon realized they had a much more serious problem on their hands. When found, the kittens, now named Anna and Elsa, were terrified and filthy, and rescuers assumed getting them cleaned up, fed and loved would do the trick. However, the kittens suffer from a rare congenital condition called agenesis, according to a press release from MSPCA-Angell. 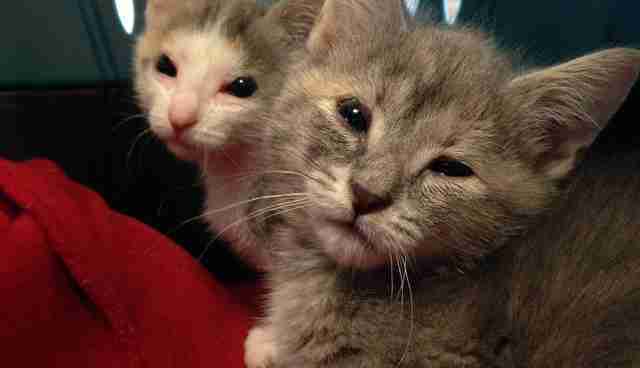 The kittens were born without eyelids, and would need a major intervention in order to lead a normal life. Anna and Elsa now need surgery to essentially reconstruct their eyelids. 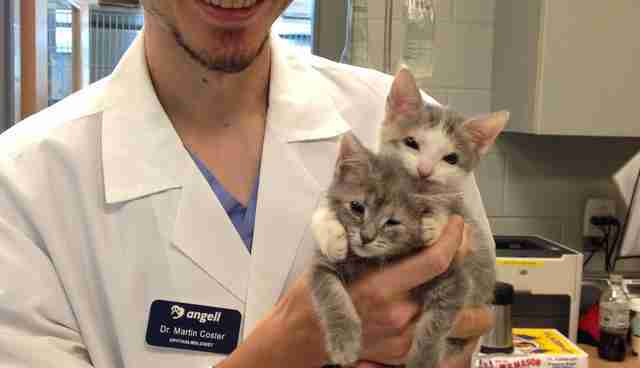 Dr. Martin Coster is slated to perform the surgery on October 5, according to MSPCA-Angell, during which he will take tissue from the kittens' lower lips and attach it to the muscles that allow them to blink. If the surgery is not performed, irritation from their lack of eyelids could eventually lead to complete blindness. The surgery will cost over $2,000, but no expense is being spared to help save these precious lives. "We're pulling out all the stops for Anna and Elsa so they can enjoy a long and healthy life in an adoptive home," Alyssa Krieger, adoption center manager at MSPCA-Angell, said in a press release. The surgery is being funded by Spike's Fund, a resource for homeless animals. If all goes as planned, these sweet kittens will get a second chance at life - and at eventually finding their loving forever homes. If you would be interested in adopting Anna and Elsa after their recovery period is over, contact adoption@mspca.org. 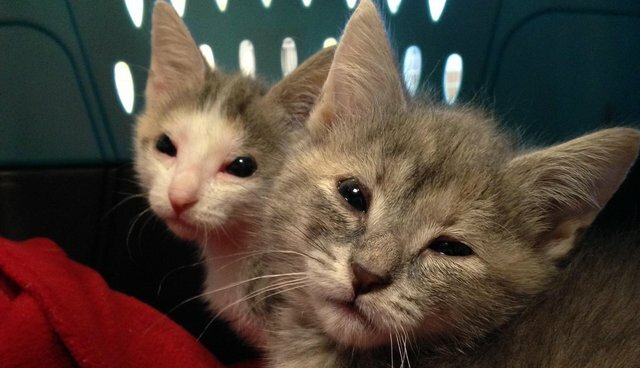 To help fund Anna and Elsa's surgery, check out www.mspca.org/dorchesterkittens to learn more.